Aretha Franklin is a highly successful American soul singer and musician. Aretha Franklin was born in Memphis in 1942, her father being the preacher C.L. Franklin, and her mother Barbara Franklin a talented pianist and singer, though they separated when she was young. When she was a child her family moved first to New York and then Detroit, where her father founded the New Bethel Baptist Church. Aretha began performing in church as a child, and went on tour with her father, subsequently recording a gospel album called Songs Of Faith in 1956, aged just fourteen. In 1960 she moved to New York City and signed to Columbia Records, where she started recording secular music. "Today I Sing The Blues" gave her a #10 R&B hit that same year. She stayed with Columbia for 6 years, and recorded a total of nine albums, featuring R&B, gospel, jazz and pop standards. Though she had a few more modest R&B hits she achieved no mainstream success, and it is generally accepted that when with Columbia she never reached her true potential. Things changed when in 1966, with her Columbia contract up, she was signed to Atlantic Records by Jerry Wexler. He knew exactly what to do with her, and in January 1967 took her to record at Fame Studios in Muscle Shoals, Alabama, where Wexler has recently had success with Wilson Pickett. Wexler also invited guitarist Chips Moman and bassist Tommy Cogbill from Memphis, joining the Fame musicians Spooner Oldham (keyboards), Jimmy Johnson (guitar) and Roger Hawkins (drums). Dan Penn also came along for the ride (he had recently left Fame and was then working with Chips Moman in Memphis). Franklin brought one song with her, "I Never Loved A Man (The Way I Love You)", by Ronnie Shannon, and Penn and Moman wrote another for her, finishing it off whilst they were there in the studio. The first song came together perfectly, though the second song went unfinished. The session was interrupted by some sort of argument (accounts vary as to what actually happened), and when the musicians returned to the studio the next day they found Aretha had returned to New York with her husband, and that was the end of her time at Fame. However she finished the Penn-Moman song back in New York, adding her own piano and getting her sisters to sing backup. 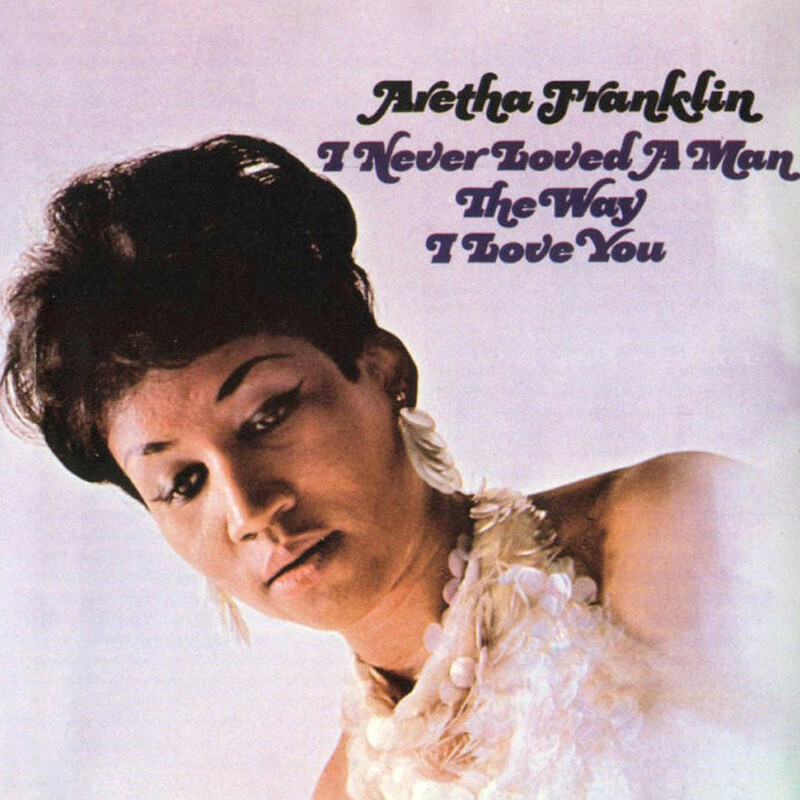 Wexler released "I Never Loved A Man (The Way I Love You)" backed with "Do Right Woman, Do Right Man", and the result was an instant smash, as Aretha found the sound she had been searching for. As the single got airplay, Wexler invited the Muscle Shoals and Memphis musicians up to New York to continue the sessions, and a full album was recorded. "I Never Loved A Man" became a #1 R&B hit and also reached #9 on the pop charts, and this was soon followed by her brilliant cover of Otis Redding's "Respect", which got to #1 on both charts. The album itself was a classic, and also featured exciting covers of Sam Cooke's "Good Times" and "A Change Is Gonna Come", plus Ray Charles' "Drown In My Own Tears" and some excellent originals. The album charted at #1 R&B / #2 pop itself, and with this one LP Aretha Franklin exploded onto the soul scene, at last asserting herself as the genre's top female artist.